FoodLabPeel is an artproject about the social issue of food and food production and the influence of food on culture. De project specifically addresses the problems and challenges in the Peel area. The aim of the project is to contribute to the transition of this area, by co-creation between the artist and the farmer. 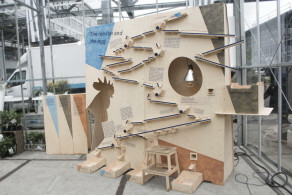 There were five matches made from six farmers and 12 artists/designers to initiate a colaborative process together. Foodcurators were matched with Marcel and Miriam Berkvens, who rear sows. Pig farmer Marcel Berkvens and his wife Miriam wanted to provide more transparency to the consumer. They wanted to get rid of their anonymity as a small link in the big and complex chain of the pork meat industry. 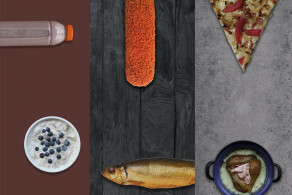 They wanted to have direct contact with the consumer, but how could they achieve this? 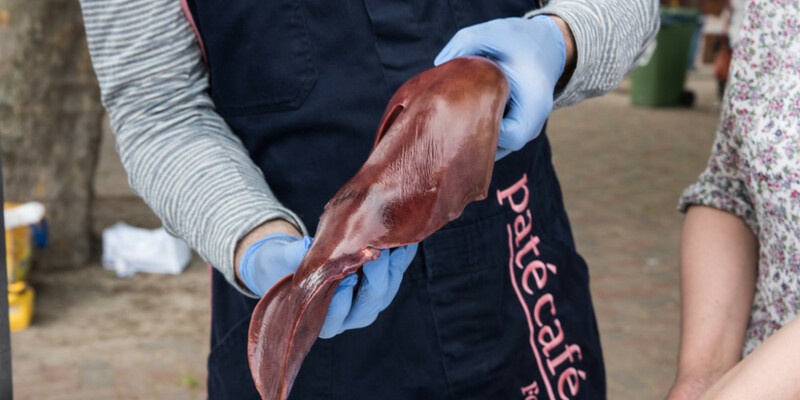 The pâté café is a mobile space where pâté is served and in which there is a possibility to discuss the challenges in the pork meat industry. 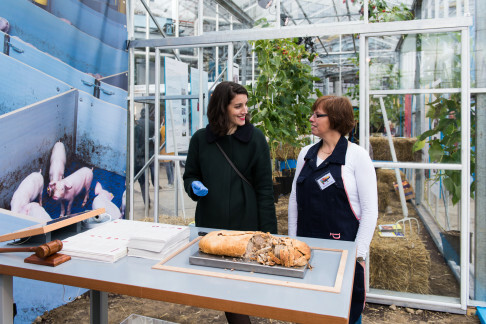 It is a spot where workshops and discussions can take place, not only with other consumers, but also with farmers. 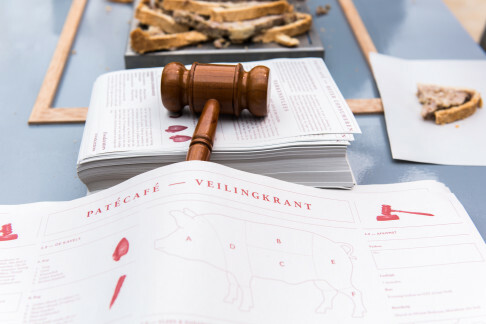 Pâté café is not only a literal space, it is also a label; a recognizable platform for the valuation and appreciation of pork meat. 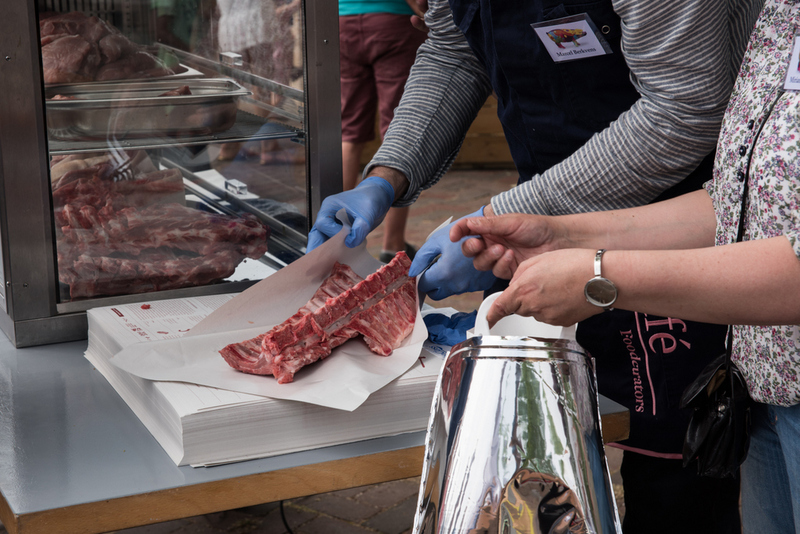 The pâté is a symbol for carcass balance: the processing of every part of every pig, depending on the value and the demand. This also makes the pâté a ‘conversation piece’: a means of prompting dialogue between the farmer and the consumer. 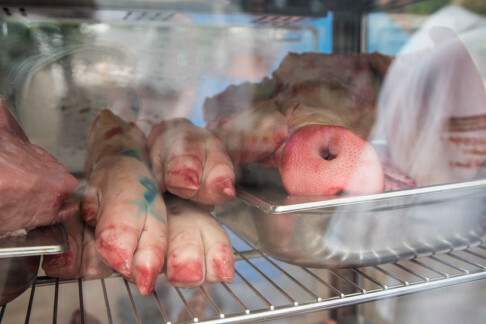 The pork meat industry has a bad image. Pig farms must continue to grow, because the prices for cuts of pork are under pressure. The consumer has taken a critical stance opposed to processed meat, but does not want to pay a penny too much for pork meat from supermarkets. How do you make it clear to the consumer that they too bear responsibility within the chain of the pork meat industry? 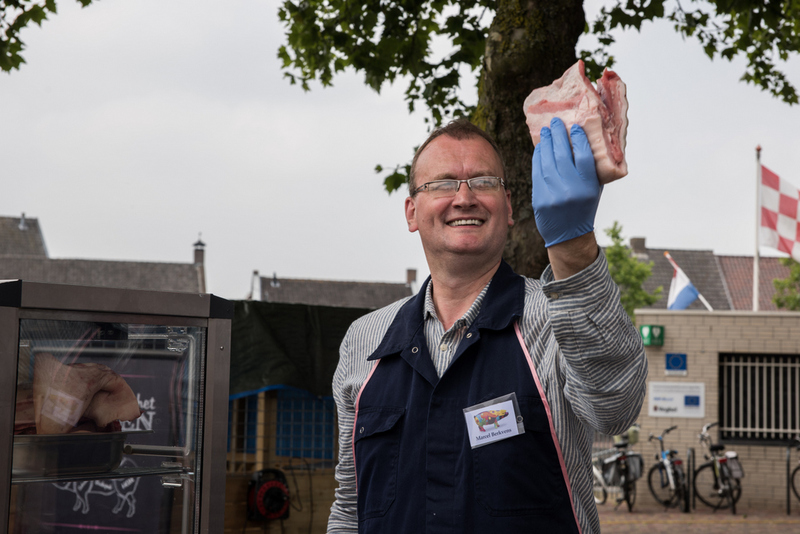 To identify the roles of the citizen (public opinion) and the consumer (buyer of pork meat) and merge them, we proposed to choose a unique way of selling the pork meat: an auction with a public nature. 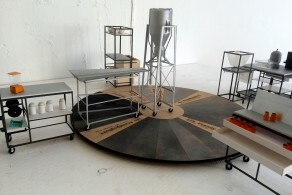 In October 2016 this public auction took place during the Dutch Design Week in Eindhoven. Instead of a traditional auction, where the goal is to sell to the highest bidder, this auction was focussed on selling every piece of meat, and thus selling the complete pig. This clarified to the buyers that for every two tenderloins, there are also four pig feet and two ears. Furthermore, the auction provided farmer Marcel the transparency he craved; he had the possibility to talk to the buyers and answer their questions. The cuts that did not sell at auction were used to make the pâté. 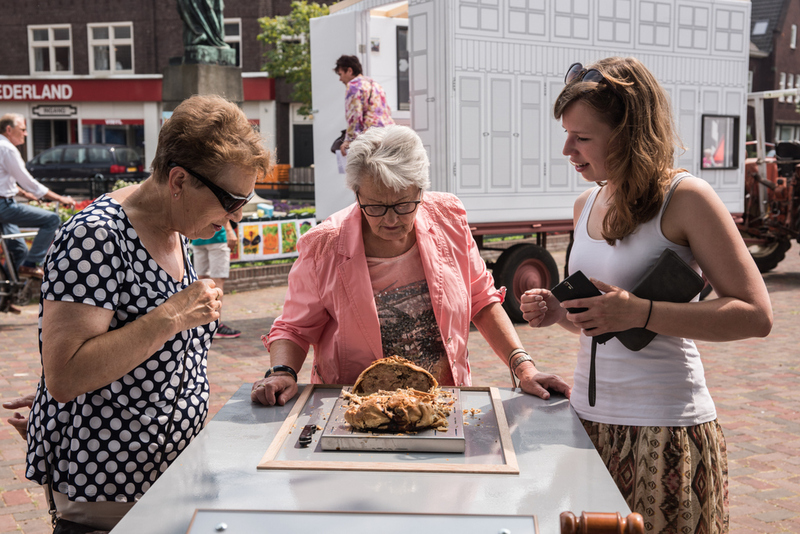 FoodLabPeel is an initiative of bkkc in Tilburg, together with ZLTO. Laying roosters: sunny side up!